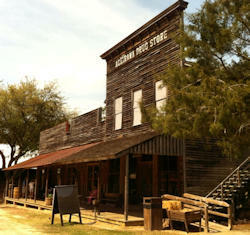 Originally located on the edge of long-ago plantations, like a tiny ruin on the outpost of an old empire of legends and epics, this ancient frontier store has been recovered and moved to the site of the "Globe Tavern and Inn Stagecoach Stop" in Fort Gaines, and endorsed by museum curators as "one of a kind in America." 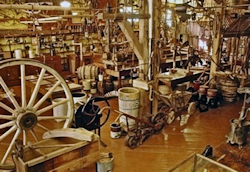 It is a living museum with its petticoat counters, wooden cash registers, antique post office, gristmill, more than 4,000 artifacts, and 3-D documents of frontier life, all authentic and original. The 96-foot long Coheelee Creek Covered Bridge was built in 1891 at the old McDonald Ford on Coheelee Creek for a total cost of $490.41. 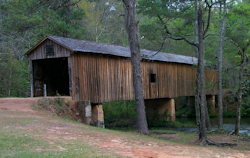 It is the southernmost covered bridge in the US. 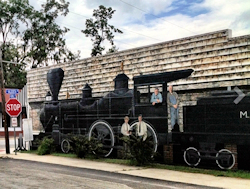 More than two dozen murals in the downtown area depict scenes of Milltown in 1925, the year this community was renamed Lakeland. Stroll through downtown where the sides of the buildings are beautifully painted scenes. Maps available at the Chamber of Commerce. Inspired by a grant of $15,000 from Andrew Carnegie, the citizens of Valdosta constructed this building in 1913 at a cost of $40,000. It was formally opened as a library on June 15, 1914 and continued to operate until 1976. 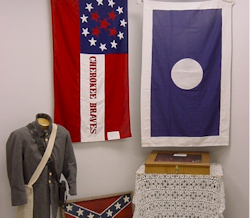 With 10,000 square feet of local history displays and research material, the museum grounds also include multiple outdoor exhibits and an extensive collection of historic photographs, attire and memorabilia dating back to 1825. 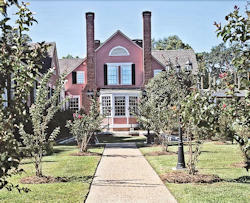 Considered on of the most outstanding examples of architectural design in the Southeast, the stylish residence was designed by architect Lloyd Greer and built in the 1915 for E.R. Barber, inventor and local Coca-Cola bottler. 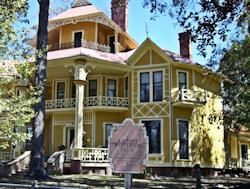 The home was later bequeathed to Valdosta citizens by Mrs. Ola Barber Pittman. 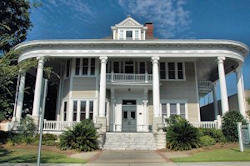 The home was restored in 1979 and is now occupied by the Valdosta-Lowndes County Chamber of Commerce. 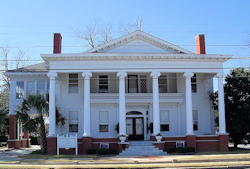 Restored to its 1902 glory, this pristine Neo-classical residence serves as the Valdosta Junior Service League's headquarters. This Neo-classical structure built in 1898 was the former home of U.S. 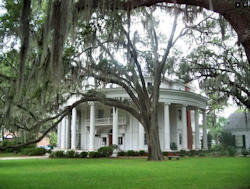 Senator William S. West, and is Valdosta's most well-known landmark. The house is named for its semi-circular portico supported by thirteen massive Doric columns, representing each of thirteen original American colonies. The estate's grounds boast beautiful test gardens, an octagonally built schoolhouse, a quaint chapel, and a small activity room with a stage. Tours available. The Dosta theatre was built where two stores were losts to fire (Lazarus Bros. Dept. Store and Rice's Care) and opened the spring of 1941. The Art Modern style building is reflective of the sobering depression, stripped of most ornamentation with an obsession with streaming and speed. Glass, blocks, portholes and curved corners celebrate cruise liners and the automobile age. 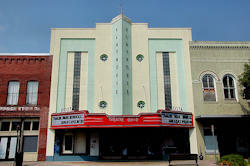 Presently the home of Theatre Guild-Valdosta. Concentrated area of River Street, Varnedoe Street, Wells Street and Central Place, Downtown. 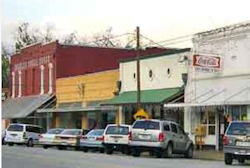 The village of Fairview predates the incorporation of the City of Valdosta. The neighborhood underwent three periods of development: 1840-1860; the late 1890s Victorian surge; and the 1910-1920s period of Prairie and Craftsman influence. 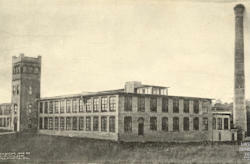 Listed on the National Register of Historic Places in May of 1984. 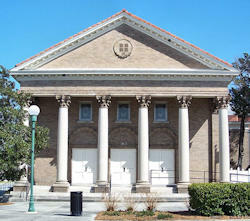 Inspired by a grant of $15,000 from Andrew Carnegie, the citzens of Valdosta constructed this building in 1913 at a cost of $40,000. 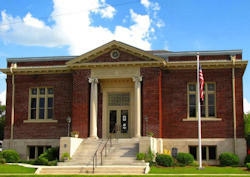 It was formally opened as a library on June 15, 1914 and continued to operate until 1976. 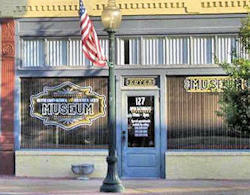 The building is now the home of the Lowndes County Historical Society offering Valdosta's most extensive collection of historic photographs, attire and memorabilia dating back to 1825. The town of Remerton, named for Remer Young Lane, President of Valdosta's first bank, was established in 1899 to meet the needs of the Strickland Cotton Mills' workers. 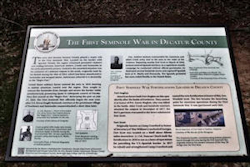 Remerton was later incorporated as a textile mill town. 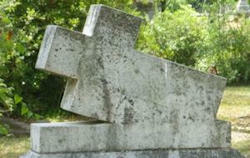 Initially there were three streets with sixty five houses, a school and three churches. The mill owned the houses, which rented for $.25 per room. Since the plant closed in 1979, the preserved houses of Historic Remerton Mill Village have found new life as quaint shops, restaurants and boutiques. 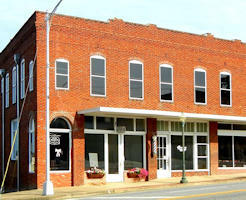 Surrounded by the City of Valdosta, Remerton still has its own government and law enforcement. 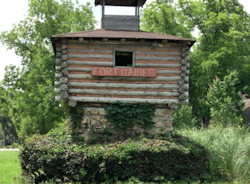 Valdosta's original burial ground, dating to the 1860s, is fascinating repository of mausoleums and memorials amongst a landscape of native and exotic flora. Architect Stephen F. Fulghum exemplified Victorian eclecticism where Queen Anne and Romanesque styles are evident. The church bell dates to 1850 and has moved with the church. The elaborate wood truss ceiling made of heart pine and exquisite stained glass windows make this one of the area's finest landmarks. Built in the late Victorian era, this Romanesque Revival style building exhibits dynamic verticality in its tall slender towers with spires and buttresses. 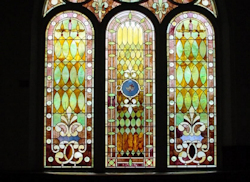 The interior is graced with rich Gothic woodwork of quarter-sawn oak and a fine stained glass rose window. The most striking feature of the building's interior is the monumental cathedral ceiling. A Romanesque interpretation of the classical Greek temple built in 1907-1909. The fine Corinthian columns were donated as a memorial gift. 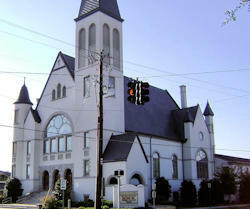 The sanctuary was completely renovated in 1985 and officially listed with The National Register of Historic Places in 1987. Originally spanning across 1,500 acres of red hill country, in 1825, as the Coalson Plantation, South Eden has gracefully taken root in the history of the South. 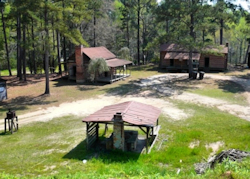 Following the civil war, the surrounding territory transformed into several hunting resorts and private plantations, as each owner built upon and made the land their own. In the early 1900's it became known as the Melhana Plantation. Come 2009, a new vision for the remnant 38 acres of the Melhana portion was born. After nearly five years of delicate and extraordinary renovation, the land has been uncovered and opened to the public with the name of South Eden Plantation. 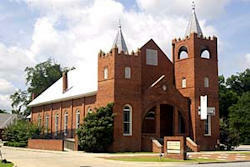 The oldest standing church in Thomasville, originally built as a Catholic church. 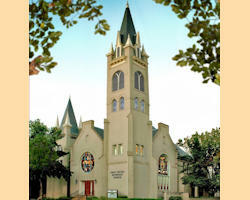 Jacqueline Kennedy attended Mass here following President John F. Kennedy's assassination. Lovingly restored and enlarged in 1981-82. The organ (II Ranks) was designed and built by the A.E. Schlueter Company in 1999. This home is a monument to the imagination, creative engineering and craftsmanship of the Victorian Era. Built in 1885 as a winter cottage for prosperous shoe merchant Charles Lapham of Chicago, the house includes fish-scale shingles, oriental style porch, and a remarkable double-flue chimney with a walk through staircase and cantilevered balcony. 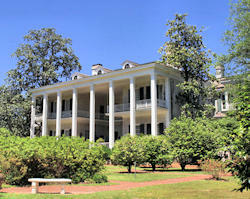 Pebble Hill Plantation has been called a Georgia Belle. 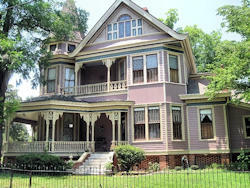 This stately architectural beauty stands proudly amid the magnolias and long leaf pines of southwest Georgia, and like an alluring belle, it has magnetic appeal and breathtaking beauty. Pebble Hill is a home rich in both art and history. The overall impression one receives from this remarkable plantation is more felt than defined. 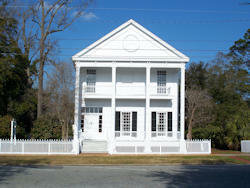 Considered the oldest two-story house in Thomasville, this home was built in two stages, in 1833 and 1837. 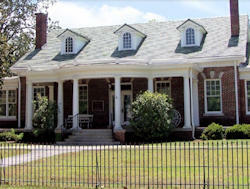 In 1980, it was fully restored and furnished and is now used as the Thomasville Landmarks, Inc. headquarters and house museum. Tours by appointment only. Since 1972, the Museum?s collections have grown to include more than 100,000 photographs and innumerable objects and documents related to Thomas County?s past. 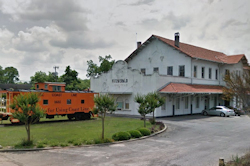 Exhibits include memorabilia from the grand resort hotels; ladies' costumes from the 1820s to the 1940s; military relics from the Civil War through World War II; antique vehicles. 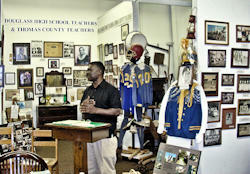 The personal collection of the James Dekle Family. It is our desire to preserve these engines for the education and enjoyment of young and old for generations to come. 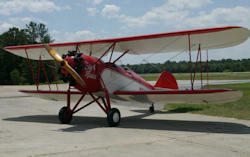 Located at the Thomasville Regional Airport 7 miles northeast of town on Ga. 122.